One reason toponyms are significant is that they contain important information about the position they refer to. This was also the case with the toponym Kliškovac, hinting at the presence of a church and settlement. 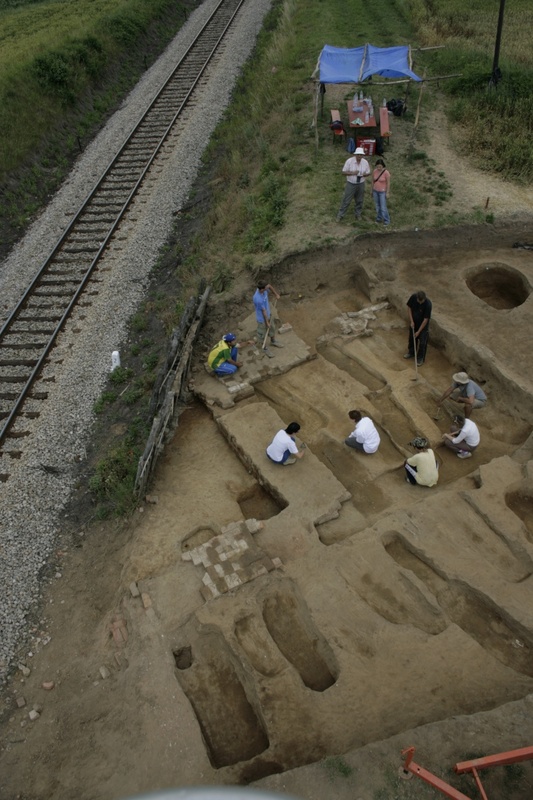 Archaeological investigations uncovered a cemetery dated to the period between the 11th and the end of the 15th century, and a 15th century church. This raised the questions of the settlement to which the cemetery belonged, what its name was and who was the patron saint of the church discovered in the excavations. The excavations yielded 16th and 17th century layers beneath the topsoil, as well as a semi-sunken structure with a hearth from the 16th century. Below these layers, a total of 145 graves were discovered, divided into three horizons. The oldest, horizon I, dates from the beginning of the 11th century until AD 1250. It comprises graves that contained jewellery with features of the Bijelo Brdo culture. 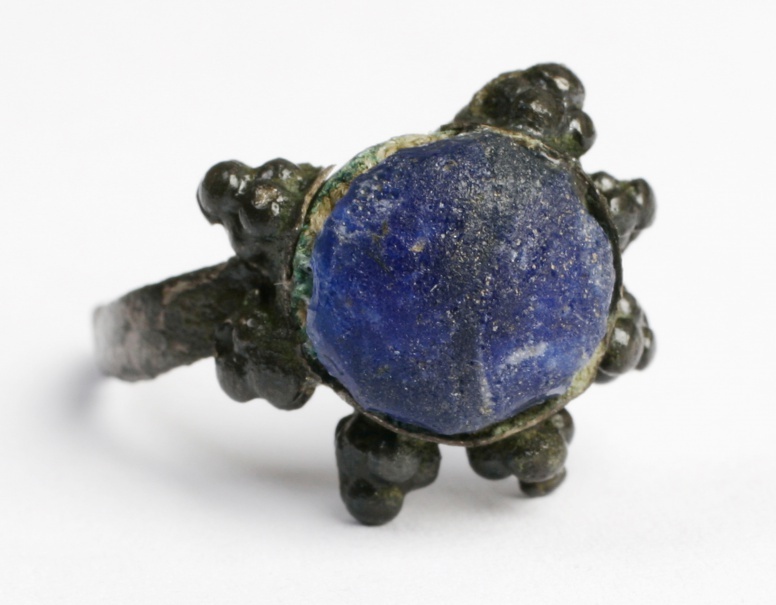 This jewellery is absent in the middle horizon II, dated between 1250 and 1400. Horizons I and II predate the church, that is, the church cut most of the graves from these horizons. The youngest horizon—horizon III—belongs to the 15th century and it is contemporaneous with the church, which was erected at the beginning of the 15th century. The stratigraphic relationships coupled with a number of radiocarbon analyses established that the burials in the investigated segment of the cemetery ceased towards the end of the 15th century. The church was built at the beginning of the 15th century and used throughout the entire century; it had Gothic stylistic features, as demonstrated by the stone sculpture, and it also featured, at least partly, white-plastered walls painted red. Investigations have shown that it was destroyed by fire, whereupon it was partly decomposed. This destruction probably took place after the mid-16th century. The phenomena observed on human skeletal remains exhibit a low level of hygienic conditions and oral hygiene, poor-quality diet and the presence of anemia and infectious diseases, as well as interpersonal violence. 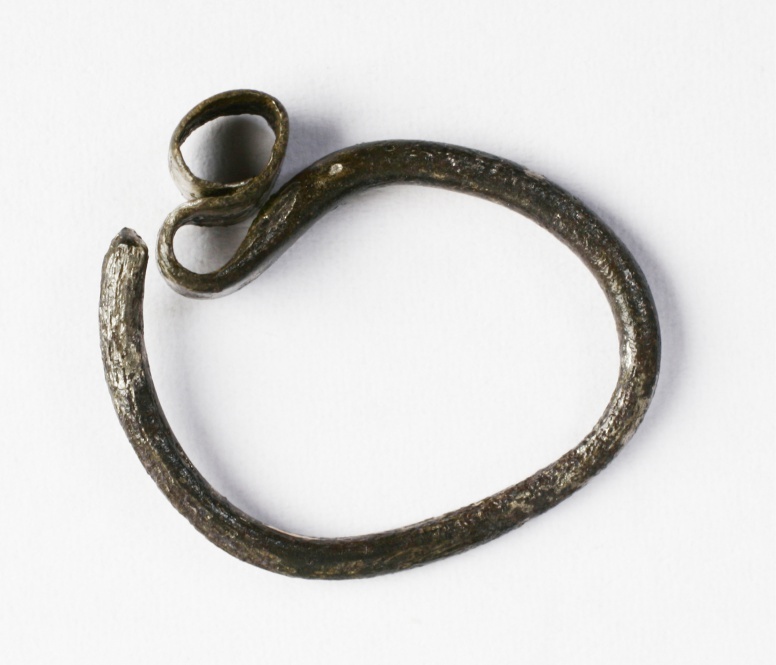 However, some individuals had jewellery and were buried with coins, which tells us that a part of the residents enjoyed higher social and financial status. That this was not an insignificant, small village with a poor church is underscored by the rather rare find of a 15th century bronze book-cover fitting of excellent workmanship. The investigations concluded in 2009, and the results were presented to the scholarly and general public in a monograph, scientific papers and exhibitions.